Searching for mortgage advice? 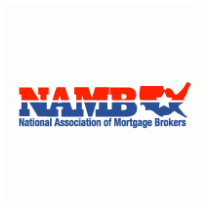 We'll be glad to talk about your mortgage needs! Call us at 407-834-3377. Ready to begin? Apply Online Now. Have you ever heard the old rule of thumb that says you should only refinance if the new interest rate is at least 2 points lower than your existing rate? Maybe several years ago that was wise advice, but since refinance costs have been getting lower, it may be a good time to look into it. A refinance is often worth its cost many times over, factoring in the advantages that it brings, in addition to a lower interest rate. 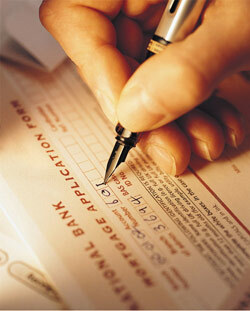 When you refinance, you may have the ability to lower your interest rate and mortgage payment , sometimes considerably. You could also be able to "cash out" a portion of your equity, that you will be able use to take care of higher interest debt, improve your home, or take a vacation. You may have the option to refinance to a shorter-term mortgage program, enabling you to add to your equity quicker. As you probably expect, you'll have to pay for the the refinance process. You will have to pay the same sort of expenses and fees as you did with your present mortgage loan. Included in the list will typically be an appraisal, underwriting fees, lender's title insurance, settlement costs, and other fees. You could offer to pay discount points (prepaid interest) to get a better rate of interest. Your savings on the life of the loan may be significant if you have paid up front about three percent of the new loan balance. Please consult a tax professional before acting on advice that these points paid can be deducted on your taxes. An additional expense that a borrower might take into account is that a reduced rate of interest will reduce the interest amount you'll deduct on your federal income taxes. We can help you do the math! Call us at 407-834-3377. In the end, for most the amount of up-front costs to refinance are made up soon in savings each month. We can help you explore your options, considering the effect a refinance may have on your taxes, how likely you may be to sell in the near future, and your money on hand. Call us at 407-834-3377 to get you started. Want to know more about refinancing? Give us a call at 407-834-3377.